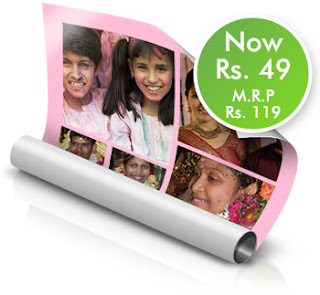 Collage Poster Size 11×14 for Just Rs.49! 11×14 Collage Poster now at Just Rs.49! Compose your myriad memories on a Collage Poster. Title your prints. Choose from a vibrant range of backgrounds. Opt between the landscape and portrait layout. Snapfish brings you an exclusive offer. Save Rs. 70. 11×14 Collage Poster now at just Rs. 49! Offer Expire on 23rd July. 2010. ← Win an Exclusive Watch by TISSOT!